Clueless as I am, I was not aware that this was sourced from a book. Good thing my partner mentioned to me and we’re both intrigued and looked forward to watching Percy Jackson & The Lightning Thief. Funny thing is all of a sudden movies with Greek Mythology became a fad like Clash of Titans (a 2010 remake). My partner was keen to watch this movie since he read the book and wanted to compare if it was true to the book. For me, it’s purely for entertainment. Admittedly, I became fascinated with mythology. As a viewer with no prior expectations, I did find the movie to be well made and a good storyline. Unfortunately for my partner, there were some details that were not followed based on the book but then again, anything that was sourced from a book was never 100% perfect transition so it was expected. It made it simple for me to have an idea on the connection between Poseidon and Percy’s mother that led him to be a special kid. I also like the friendship between Percy (Logan Lerman) and Grover Underwood (Brandon Jackson). The loyalty was very appealing and the comic punchlines of Brandon was perfect. I do commend the characters of Mr. Brunner and Chiron (Pierce Brosnan), Medusa (Uma Thurman), Zeus (Sean Bean), Hades (Steve Coogan), Persephone (Rosario Dawson), and Sally Jackson (Catherine Keener). Unfortunately for some, they fell short of their roles. The role of Annabeth (Alexandra Daddario) lacks conviction for her role – trying hard to be tough. And the role of Poseidon (Kevin McKidd) is just too Irish-looking for me. Other than that, the cast were great. The special effects were also great – since it’s a fantasy movie, it does require such effects. Let’s face it what’s mythology without a bit of effects here and there. I find amusement in seeing the water effects when Percy tried to control them. The end scene, I must admit, was a bit too corny for me. I was told that there is another installment for this movie and I was hoping that it would somehow tie-up with the next book or something but it ended really cheesy and kinda boring. It’s a very good wholesome movie which can cater to a lot of markets. A good combination of action-fantasy-comedy all rolled into one. I do recommend this if you want a happy, good-wins-over-evil type of story. And if you are a mythology fan, you will surely find this truly entertaining. I was really glad my partner invited me to watch Devil. Though I’m not a fan of horror and suspense films, M. Night Shyamalan got me intrigued once more. I must admit that I like some of his movies because some we’re just too hanging – not sure if it was intentional or he’s really being sadistic. As the movie started, I was bracing myself for what’s to come. I was blown away with the movie. I did like it very much despite the horror and suspense factor. It has a good storyline and the twists were so crazy good. If the narrator (Shyamalan) is telling the story that is true to life, then his grandmother is a genius. I was just thinking that if his grandmother tells this story to her grandchildren, it’s morbid and traumatic but then again those stories made him who he is – a genius as well. Just imagine that the story took place in one office building, specifically in an elevator and the security control room. For a limited venue, it all boils down to the plot and script and it was perfectly executed. One of the good things he did was selecting not so popular actors for this it makes you focus on the story more than the actors. Chris Messina (Det. Bowden), Jenny O’Hara (Old Woman), Bojana Novakovic (Young Woman), Bokeem Woodbine (Guard), Geoffrey Arend (Salesman), Logan Marshall-Green (Mechanic). Even the roles of Ramirez (Jacob Vargas) and Lustig (Matt Craven) were also commendable. The suspense and horror factor, admittedly, was done well and needed to support the story so as I was shocked, I was pleased as well (and for the record, that is very rare for me). It’s always been M. Night’s reputation to challenge the mind and probably personal beliefs in all his masterpieces and this one is no exception. It raises so many questions that we could only ask ourselves about the bad things we’ve done before. In the beginning I was surprised to see, “The Night Chronicles: Devil”. If this is just the first installment of his great stories, I cannot wait for the next one and will wait anxiously. If there is a place that my family loves to go to for a heartfelt meal, it would be EDSA Shangri-la Manila‘s HEAT, Ortigas Center, Mandaluyong City. With my family, food is always the thing that bonds us whether on a Sunday lunch at home or dining out. If I’m not mistaken it has been my fourth time to have dinner with my family there so we do have a pretty good idea on what they are offering. The food selection is endless and you’ll sure to find something that you will enjoy. There were occasion that we would request something from the attendant, which is not part of the buffet, and they were able to do something about it. Now that is very good customer service. The reason why we do that is because my family have some favorites that were not part of the buffet since it’s expected that the food offerings changes from time to time plus we feel comfortable doing this since we’re secluded in one of the function rooms of the restaurant (so we can afford to be thick-faced with our requests). The service is extra-ordinary and commendable, a true quality service. The food choices are exquisite and one of the things I like is that the area is sectioned according to cuisines so appetizers and soups are placed based on cuisine so it compliments the sections. The buffet set-up is spacious so you can roam around and explore. What I tend to do is to first go around and check first what are the offerings then afterwards select them. As far as cuisines are concerned, they have Italian, Japanese, Filipino, Mediterranean, Chinese, Spanish, Thai, Indian, Vietnamese, and others. So you can just imagine the overwhelming choices whatever your heart and tummy desires. About the desserts, it’s obvious that they will never run our of choices so if you have a sweet tooth, enjoy the bliss. The price may be considered one of the highest compared to the other hotel buffets but here you will see and experience the value for money. I so highly recommend this for those who want to splurge and have a great experience with someone or group of people. Do note though that if you are going there as a group and wants to stay in one of the function rooms, it’s advisable to make a reservations to secure the area. This would be my 3rd time to visit Cafe d’Asie of The Bellevue Manila in Alabang, Muntinlupa City. The cafe looks stylish for a hotel and very updated, classic french art neuvo. Spacious and comfortable seating whether you are alone dining or with friends or family. The food attendants are friendly and attentive. The distance and location is a very far from where I live but there is a reason why me and partner frequent the place. The Alabang area is a bit confusing for me despite it’s our second time there. What we base our direction is the site of the hotel, regardless of street names. As far as the food offerings are concerned, it’s very limited so if you are looking for more variety it might leave you a little disappointed. Though the food is nicely placed, some entrees are too simple considering there are very few selections. Also one thing I noticed is that despite the presence of chefs within the area, no one seems to monitor the replenishment of the entrees. We had to call their attention before something is done. The appetizers and salads are sufficient with the choices. Though I have to comment that the cold cuts are a bit dry. The buffet doesn’t have offerings of sushis – only sashimis and there’s only two choices. They only have one choice of soup. The main courses is limited and as mentioned earlier too simple. I liked the sections of the noodle soup, dim sum, kebab, and grilled seafood. The tempura section lacks taste and the pizza section is not appetizing. They do have a wider range of desserts. The buffet offers complimentary coffee or tea and I must say that they have good coffee there. One good thing about the buffet experience here is that you leave not as stuffed as expected from other hotel buffets – and that is a good thing coming from someone who is trying to watch his weight and health. The experience itself is satisfactory. Despite the distance, it’s like going out of town (with the travel time and traffic) so it’s a good short escape from the my place of residence or where I frequent during weekends. I do recommend this place but in the parameters of simple buffet set-up, good ambiance, good service, and a distance away from your usual hangout area. Ask yourself this, “Where will you be at December, 12, 2012?” This movie has so much impact on me. Let’s face it, if it’s true what have we done or what have we become. 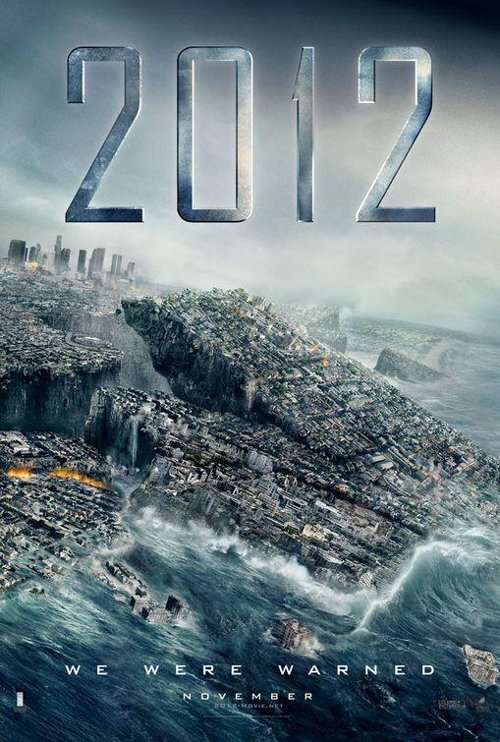 It’s tough enough that 2012 will happen and they decided to select people to survive the destruction of earth. It’s hard to imagine that some sort of judgement has been passed, judgement made by men. I’d like to believe that we all deserve to live or at least have a second chance in life. What saddens me is that aside from not being selected to escape the threshold of death but if you have the money (like a gazillion euros) then maybe you can have a chance (yeah right). This is one movie that sticks with you way after watching it. It’s does raise a lot of questions about life, morality, and probably religion. If this thing does happen, you really can’t do anything about it and just leave it to your faith. The acting and cast were just right for this movie. John Cusack (Jackson Curtis) and Amanda Peet (Kate Curtis) were on the dot. I’ve always been a fan of John Cusack and his films. I do also like the role of Thomas McCarthy (Gordon Siberman) who is in a relationship with Kate (divorced to Jackson) who turns out to be a very good guy (at least to the very end). Oliver Platt (Carl Hauser) and Chiwetel Ejiofor (Dr. Adrian Helmsley) were very creditable and delivered a very engaging roles. The role of Woody Harrelson (Charlie Frost) was also great, though he does freak me out but nonetheless effective. The roles of Danny Glover (President Thomas Wilson), Johann Urb (Sasha), John Billingsley (Professor West), Jimy Mistry (Dr. Satnam Tsurutani), George Segal (Tony Delgatto), Blu Mankuma (Harry Helmsley), and Chin Han (Tenzin) were also good but how I wish they were more exposed. I didn’t like the role of Thandie Newton (Dr. Laura Wilson) because I find it to forced and unauthentic. The special effects is very good and needed, to say the very least. In a disaster movie, it does require lots of effects to get the visual impact and probably it will look very much the same. As I am impressed with the effects it makes me wonder and sad that this could really happen. The engaging discussion between Dr. Adrian Helmsley and Carl Hauser whether to allow the people waiting outside the ark which were not suppose to be allowed but the moral questions were raised and debated. I am not sure what the future will be in store for us but it might be to late for regrets and probably planning for the future might not be a good idea but just live one day at a time. This may come as a shock to some of you but there has been a huge uprising of shows that features vampires. What is the hype all about? Ever since the first installment of the Twilight saga started, people are going ga-ga over this and though it’s a good movie to watch, the other form of media started joining the band wagon. I am referring to the small screen. I’d like to explore these shows on TV that has the same format in line with vampires. In HBO, they came up with True Blood. One thing I like about this show is that the setting is in the South so with the added southern lingo makes the dialogue a bit interesting and different. They also have werewolves, same as the Twilight saga, but in the TV series, the werewolves are one of the bad guys, or maybe not all. Of course, there is also the good and bad vampires. And they also introduced other characters like shape-shifters, witches and fairies, which again adds to differentiating them from other formats. There is so many twist and mystery that makes you want to watch episode after episode. As far as the casts are concerned I like Anna Paquin (Sookie Stackhouse), Stephen Moyer (Bill Compton), Alexander Skarsgard (Eric Northman), Sam Trammell (Sam Merlotte), Nelsan Ellis (Lafayette Reynolds), Carrie Preston (Arlene Fowler), Deborah Ann Woll (Jessica Hamby), Kristin Bauer (Pam De Beaufort), Kevin Alejandro (Jesus Velasquez), Denis O’Hare (Russell Edgington), Evan Rachel Wood (Sophie-Anne Leclerq), Joe Manganniello (Alcide Herveaux), and the list goes on. Though I have some issues with some of them like Rutina Wesley (Tara Thornton), Ryan Kwanten (Jason Stackhouse), and Marshall Allman (Tommy Mickens) are characters that if they die I won’t be disappointed. Tara and Jason are just too much to handle bordering psychopath, while Tommy is nothing but trouble. I also do appreciate inserting homosexual content into the series between Lafayette and Jesus which gives more dimension to the story, not to mention some relationships between vampires. While on the other one is The Vampire Diaries. To me this show is as good as the first 10 minutes when I watched the first episode. This is such a trying hard version of the Twilight saga. The gothic and dark setting seems to be a cliche and nothing interesting and new to appreciate. The plot of a girl falling in love with 2 vampires is just exhausting to endure. The storyline is boring and predictable. No interesting character. And speaking of the cast, they’re all mediocre and nothing great. So obviously I’m leaning towards True Blood against The Vampire Diaries. I think The Vampire Diaries should step out of the box of story-telling about vampires. That’s one thing that differentiate both shows. They really need to get out of the shadows of the Twilight saga and make one of their own. When I watch True Blood, I always get frustrated when the episode ends – that’s how I am engaged with the show and looks forward to the next one. The other one lasted only 10 minutes and I was done with it. 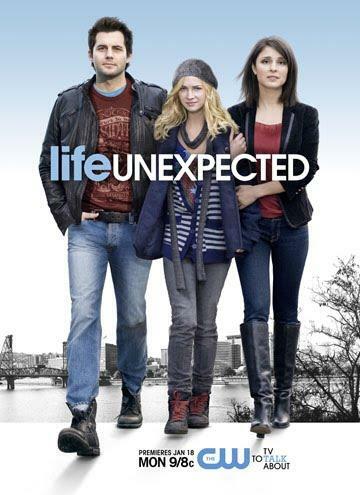 I happen to watch the first episode of Life Unexpected and I must admit that I wasn’t looking forward to it but when the story progressed, it does seem interesting enough to watch the whole show. I particularly like the storyline. Imagine two high school sweethearts, Shiri Appleby (Cate Cassidy) and Kristoffer Polaha (Nate Bazile), made out and as a result Cate got pregnant and decided to give up her daughter for adoption. Fifteen years later, Lux Cassidy (Brittany Robertson) shows up in their town, looking for her biological parents to sign an emancipation contract so she can move on with her life. Though she was able to have them sign the document, it was not enough for the court to allow her freedom since she is unemployed and have no source of income. But the twist is the judge decided to give back the guardianship back to the biological parents. That’s where the twist begins, feelings of regret and pay back time seems evident. These are types of plots that I enjoy watching. The awkwardness between the three lead roles. A simple plot but complicated as it slowly unfolds itself and show they discover not only each other but themselves as well. The actors are nothing close to spectacular but seemed committed to the role they’re portraying. One of the things I don’t get is Ryan’s attitude towards his long-lost daughter. He is very carefree and irresponsible then all of the sudden, with the presence of Lux, he becomes driven and totally the opposite – in the first episode. It would have been better as this is a development in progress as the story progress. The supporting actors are somewhat insignificant but nonetheless, adds a bit of flavor to the story. It goes to show that if you have a very good storyline, no need to get those very popular actors. The ensemble is sufficient and able to give justice to their roles.